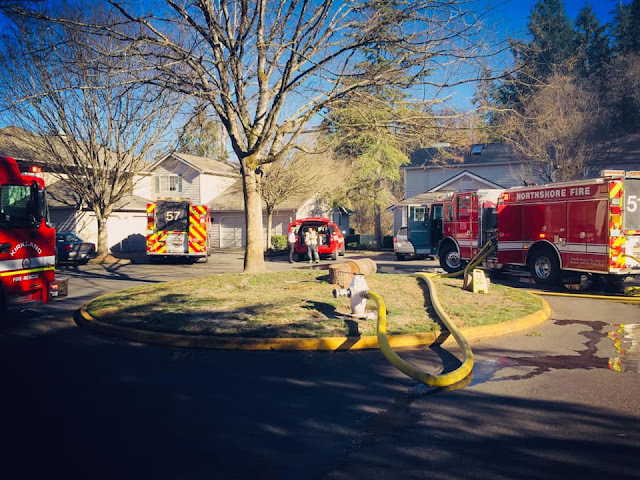 Tuesday, Northshore Fire responded to a townhome fire in the 7200 block of NE 171 Lane in Kenmore. One occupant was home at the time of the fire, but was alerted by a neighbor and safely exited the home. Bothell, Kirkland, Shoreline, and Woodinville assisted and there were no injuries reported. The cause of the fire is under investigation by King County Fire Investigators.